Deciding to use a home for your loved one is a life-altering decision. It can feel like a last resort and may be a difficult choice, but it’s often the best decision. 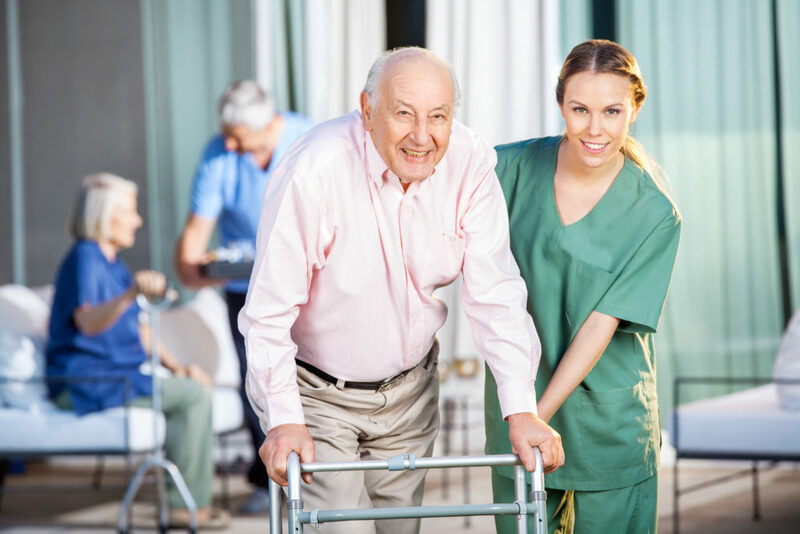 Once you have made the decision that your loved one needs full-time care and attention, you may be wondering what is the difference between a care home and a nursing home. Care homes and nursing homes provide similar services, but understanding the differences can help you and your family choose which is right for your situation. Care homes provide round the clock care services from a qualified carer. Carers are trained to help your loved one with all of their personal needs, including bathing, dressing, eating, going to the toilet and attending activities. Generally a care home does not have a medical staff. If a resident of a care home requires medical assistance, it’s common for a district nurse to be called in. Nursing homes are very similar to care homes, with the only tangible difference being that the carers are registered nurses. Due to this, nursing homes may be better for those with long-term illnesses or medical conditions. Nursing homes also often have special beds and other equipment to help with mobility issues. When Should I Use Which Home? It is important to look at a range of care homes and nursing homes to assess which options are suitable for your needs. The nature of their illness and how their needs may change over time are important factors to consider. When considering certain illnesses, such as dementia or where someone’s health may decline in a short time, a registered nurse is necessary. For these situations nursing homes will have the proper resources to care for your loved one. Generally, nursing homes are best for those who have a disability that prevents them from caring for themselves. If that is not a factor, care homes may be a better fit. Some also begin at a care home and later transfer to a nursing home when necessary. The most important is keeping our loved one safe, well cared for and as comfortable as possible.